Panda Fusion is a complete product able to protect, manage and deliver remote support to all your IT devices, including smartphones and tablets. As it is a cloud solution, it is deployed rapidly without the need for maintenance or costly investments in server infrastructure. Maximum protection against malware and other unknown threats. Cost savings thanks to the automation of infrastructure management and centralized control. The best support experience with proactive troubleshooting and remote, non-intrusive access to devices, no matter where they are. Fusion protects, manages and provides remote support to all the devices in your network, including smartphones and tablets. Protection for all devices inside and outside the office, 24 hours a day, 365 days a year, without the risk of data loss. All operations are performed in the cloud. No additional infrastructure is required to centrally manage all of your customers' devices, smartphones and tablets. 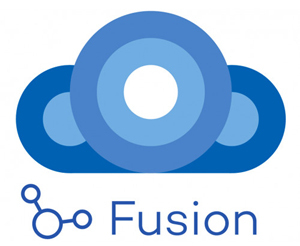 Fusion protects all of your Windows, Linux, Mac OS X and Android devices, as well as your file and Exchange mail servers, thanks to Collective Intelligence and Anti-Exploit technology against unknown threats. Fusion optimizes the performance of your IT infrastructure by automating management and centralizing control. Proactively resolve your users' problems by remotely and non-intrusively accessing their computers and devices, wherever they are. Protects, manages and supports all devices –at any time and from anywhere- including those in remote offices and laptops. No need for additional infrastructure on site. Simple, central management via a Web browser. Reduced resource usage: extremely light agent and reduced bandwidth usage when deploying software and automatically updating the protection. Secure service with ISO 27001, SAS 70, PCI DSS and FISMA certifications. Complete anti-malware protection for Windows, Linux, Android and Mac OS X workstations, as well as servers and laptops. Maximum protection with real-time access to Collective Intelligence. Heuristic and anti-exploit technologies against new threats that exploit unknown vulnerabilities and zero-day attacks. Antivirus, anti-spam and content filter support for Microsoft Exchange 2007, 2010 and 2013. Centralized device control (USB data storage devices, DVD/CDs, modems, Bluetooth devices, etc.). Category-based Web filtering and monitoring. Remote data wiping and password protection for lost or stolen smartphones and tablets. Visibility and control of all devices on the network, including smartphones and tablets. Control and monitoring of CPU usage, memory, disk space, services, software, etc. Performance graphs and on-screen warnings. Software and hardware change logs. Discovery of unpatched devices and centralized, automatic patching of operating systems. Non-disruptive access: remote event logs, command line, task manager, file transfer, registry editor. Remote desktop access: Shared access or complete control. Messaging system for direct communication between users and the IT Department. Ticketing system to organize and classify incidents, share troubleshooting procedures and documentation, etc. Script creation for automatic troubleshooting. Scalable platform, ability to integrate free components. Fusion incorporates a ticket system to organize and classify user incidents and shared troubleshooting procedures. Fusion allows you to remotely access the desktop of all users on the corporate network (shared access or total control), or communicate with them through a messaging system. Assign different protection polices to users through configuration profiles. Apply different levels of protection according to the profile of the user who connects to your corporate network. Avoid false positives with Malware Freezer. Freeze the malware detected for seven days and, if it is a false alarm, automatically restore the file on the user's system. Do you think your network could be infected, even though your antivirus tells you otherwise? This is an advanced disinfection tool that runs a complete scan based on Collective Intelligence or cloud scanning in order to eliminate malware that traditional antivirus products are unable to detect. The benefits of having 25 years' experience detecting and disinfecting malware have enabled us to develop a solution that can monitor all the scans on your network and eliminate any latest generation viruses detected, remotely and from a centralized point. Includes the latest technologies, which are more aggressive than conventional antivirus solutions in detecting and disinfecting latest threats. Cuts out the manual tasks of restoring infected systems, automatically undoing the changes made by malware to operating systems and restoring system policies. Stores all scan and disinfection results in a single cloud-hosted repository for all computers on the network. Access it through a simple Web browser and get the information that you need.